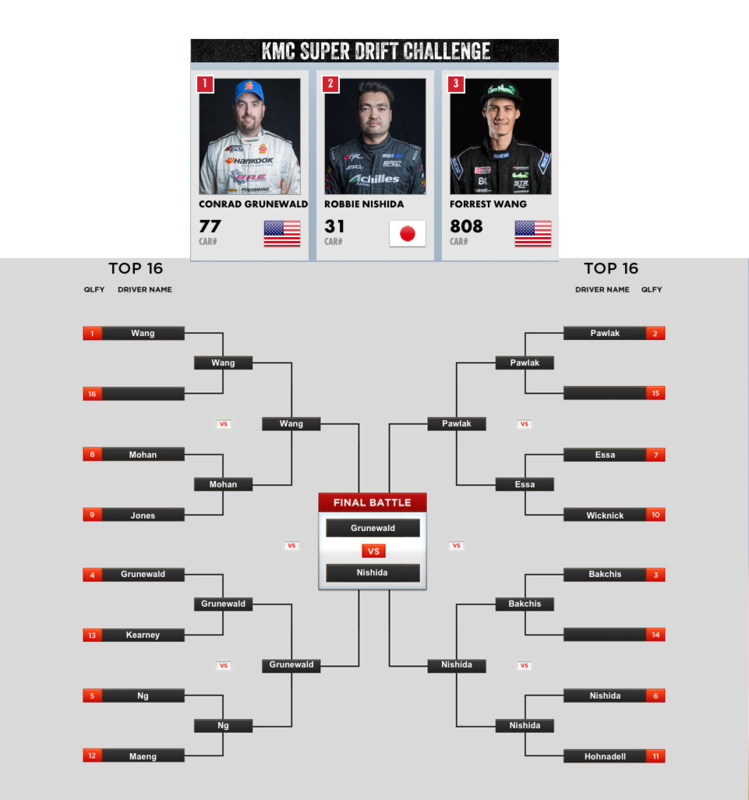 Long Beach, Calif. – April 19, 2015 – Formula DRIFT hosted the KMC Super Drift Challenge during the Toyota Grand Prix of Long Beach. Conrad Grunewald in the Always Evolving / Replay Camera Chevrolet Camaro takes the victory. 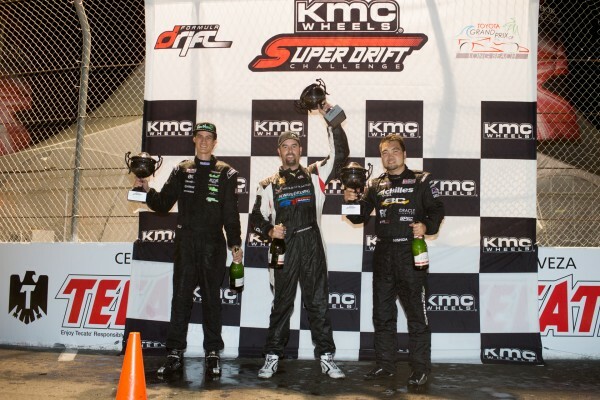 The KMC Super Drift Challenge for the third consecutive year brought motorsports action under the lights during the annual Toyota Grand Prix of Long Beach with a filled capacity within Turns 9, 10, and 11 of the famous street course. 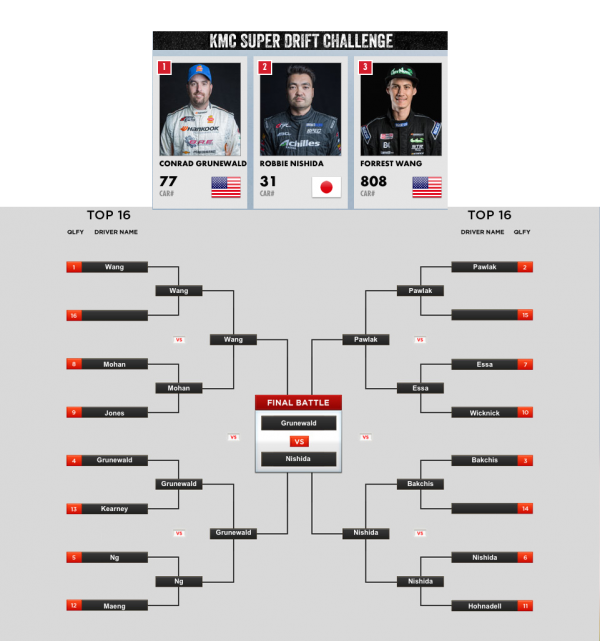 Sixteen of the top Formula DRIFT drivers competed for a $25,000 prize purse. The action under the lights along created a unique and competitive environment for the drivers. Number one qualifier, Forrest Wang in Get Nuts Lab / Hankook Tire Nissan S14 finishes in third place for the second consecutive year. Conrad Grunewald met Robbie Nishida in the Achilles Motorsport / Bridges Racing Lexus SC300 in the finals. Grunewald outmatched Nishida to take the event victory. Formula DRIFT continues to Round 2: Road to the Championship at Road Atlanta on May 8-9, 2015. Tickets are available and can be purchased via www.formuladrift.com.